Desert Heat – Chandler Jones has moved from his days as a member of the New England Patriots and Super Bowl glory to join the Arizona Cardinals. 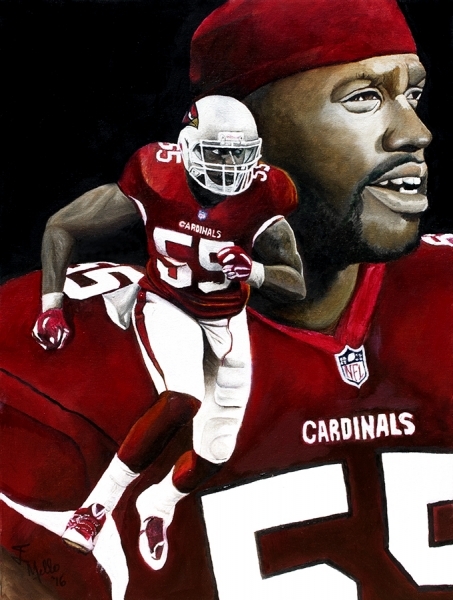 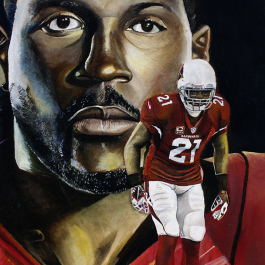 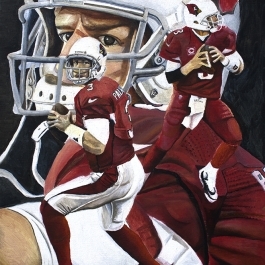 An NFL sack leader in the AFC is now show in this football art by artist Jim Mello. 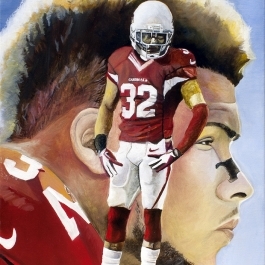 He has been to the Pro bowl and Super Bowl and looks forward to time in Cardinals red.